Set against the awe-inspiring backdrop of the Great Wall and surrounding mountains, Huairou offers a close retreat away from Beijing. 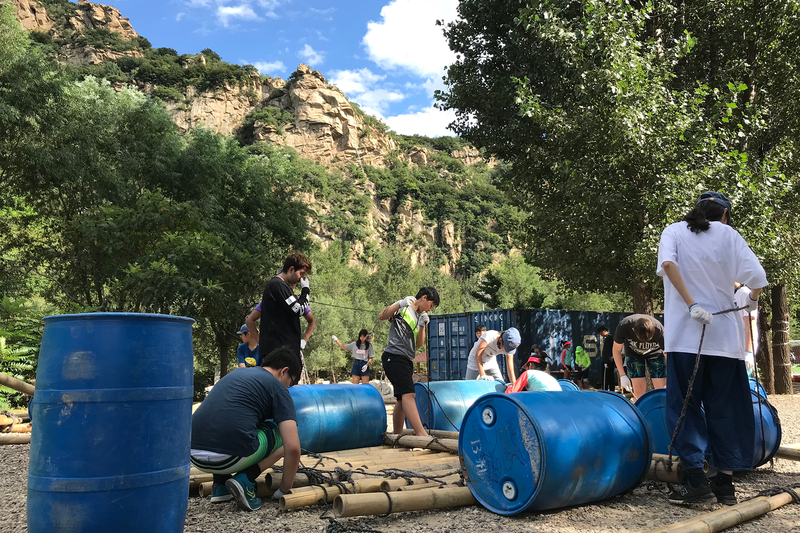 Here students will participate in an ‘American-camp-style’ itinerary complete with survival training, shelter building, camping, cooking, talent shows, raft-building, teambuilding games as well as a very exciting excursion to do Via Ferrata. We have other primary school trips in Shanghai, Suzhou, Hangzhou, Huzhou, Xian, Chengdu, Guangzhou, that follow a similar format. Ask our specialists if we can do our primary residentials in your area! Upon arrival, teachers and students will be briefed on health & safety. After checking in, we divide into teams and come up with team names and chants. After lunch, we start team building activities that familiarize students with the local area, then gather up for the Welcoming Ceremony. Our first activity of the day is Kite Making & Flying. In the evening, we learn some Folk Dances and have a small dance party. In the morning students will do some Raft Building and try Rowing them! (Concerned about our water safety? Ask our specialist about what checks we have in place). In the afternoon, we will make Traditional Pouches. Then, students learn to set up camp for the evening. Dinner is a BBQ meal, paired with a salad that the students will prepare themselves. After a campfire, students undertake a stargazing activity before turning in for the night. 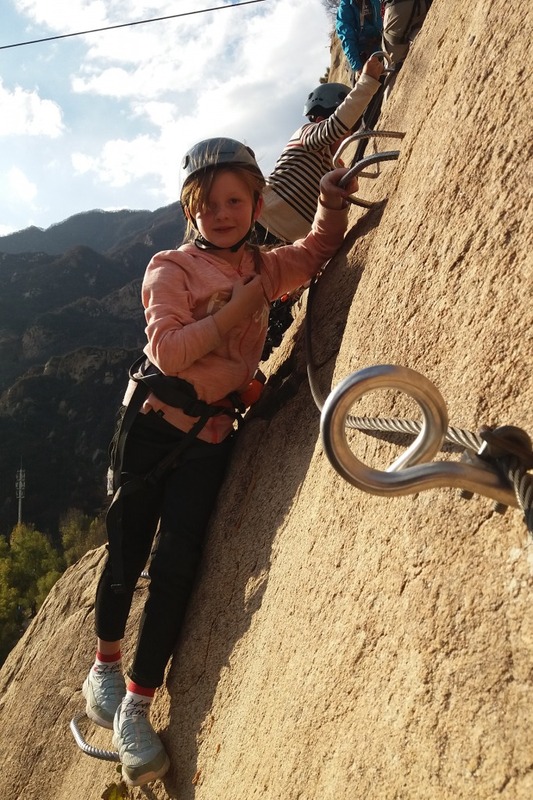 It’s an early start with Via Ferrata, a thrilling type of Rock Climbing where students clip into a route pegged into the side of a rock surface. After lunch, have a leisurely Tai Chi class at the riverside. Upon returning, students will be decorating their own traditional fans. Next, we do shelter building in the surrounding woods. In the evening, students will create and perform their own Puppet Shows using cardboard and flashlights (Option to replace with a talent show). In the morning, we will be doing a square-metre-nature-survey. Students count the different types of trees, plants, and animals that they can see and record it in a nature diary in their respective areas. Afterwards, we put all of our survey results together and come up with an assessment of the health and biodiversity of the area. This is our final activity, and we set off back to school after lunch.